Motivating, Educating and Empowering Women on the Benefits of Strength Training and Lifting Weights. Over my many years coached I have helped thousands of women start lifting weights. 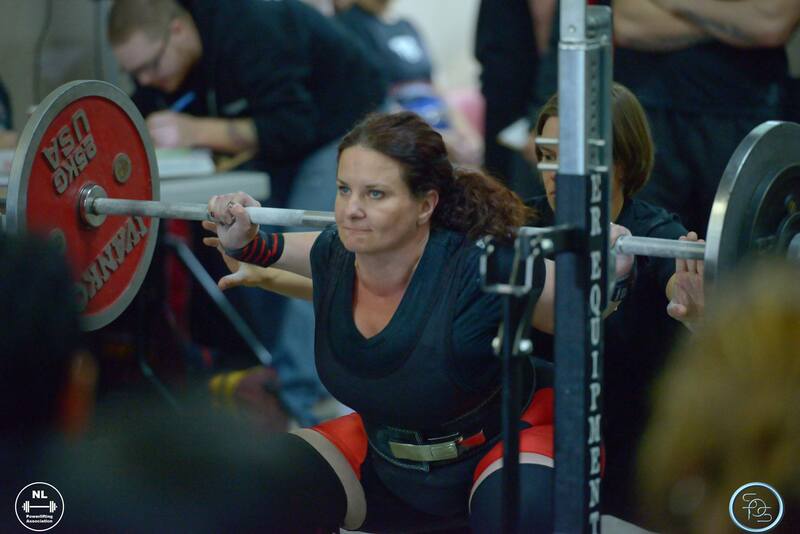 Along this same journey I have helped and coached thousands of women and encouraged them to step on the powerlifting platform and compete for the first time. My first time competing was one of the hardest decisions of my life. Fast forward a few years after this and I had competed for Team Canada all over the world (South Africa, Finland, Texas & BC) at the World Championships 3 times (and took how 2 Worlds Medals), and also competed and won the CommonWealth Championships. It was by far some of the most incredible experiences in my life. But none of this would have ever happened if I did not step on the platform for the first time. Along this path I have helped thousands of women step on the platform and compete for the first time. Some even went on to compete at Nationals, some placed, some set records, we even had 6, 50+ women compete at Worlds in the last 2 years and all of them took home a medal! One of the hardest parts of this is believing in my athletes that they can do it. Most of them doubt their ability or don’t think they are strong enough. These feelings are normal. 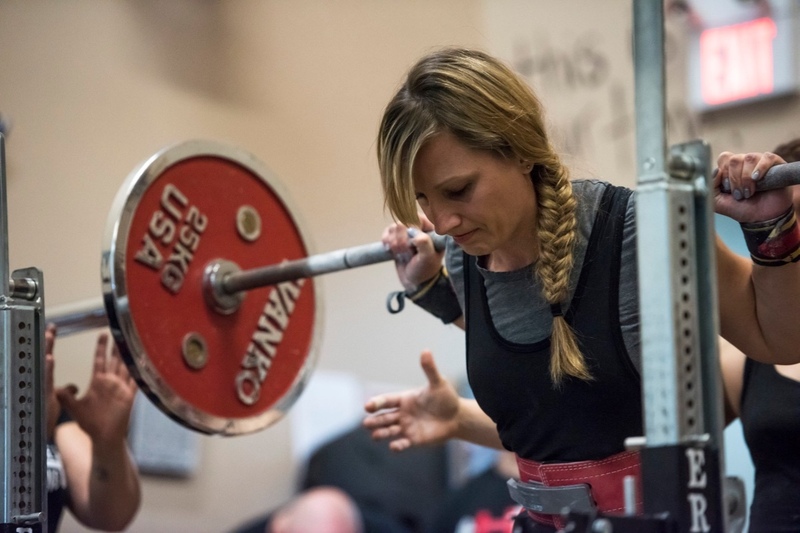 There are so many benefits to competing (at least once) that I thought I would write and share why I think everyone should compete at least once in PowerLifting. In a PowerLifting competition you are competing against people very similar to you. They weigh close on the same weight as you, they are close in age to you, the people you compete against are very similar to you. You are competing against others, but in the end you are competing against yourself. Whatever you finish with from your best lifts gives you a total, and if you give your absolute best and have a great day lifting your total is how you did. For the most part if someone else beats your total that is something YOU can’t control. You are only in control of your lifts and your total. If you compete and you hit a total then it’s very simple, you get back to training to improve your lifts and improve your total. In the end it’s all about your improvement. Improving your strength, improving your totals and getting stronger. What is great is that knowing others are doing the same will push you even more, but in the end it’s only you versus you to improve yourself. When you decided to compete and register for a competition something happens. Your training and focus becomes much more intense because now you have a definitive concrete goal of stepping on the platform and giving your best. Too often people go through life and never compete out of fear of failure, fear that they are not strong enough, fear of the unknown. Once you register and you have the date then everything changes. You miss less workouts (if any at all), you make every set and every rep count. You have a focus, a program, a clear goal of giving your best on that one day. When I hear people say “I want to get stronger” it’s the same to me as when I hear people say “I want to lose weight”. Your goal has to be specific and measurable. It has to be something you can monitor and achieve. A better goal is “I want to squat 350, bench 250 and deadlift 500 pounds on competition day”. When a competition is approaching my gym HeavyWeights is full of people training hard and focused on their goals because they know the clock is ticking and they want to give their best on competition day. When I compete my weight class is 83 kg (about 183 pounds for those that don’t use kg’s). I compete usually two to three times a year. I know about 6-8 weeks out of my prep that I have to start slowly dropping weight so that I can make my weight class. I rarely let myself go above 190 lbs for this reason. IF i was not competing in PowerLifting maintaining my weight would be much harder. I’d have no real reason to get leaner or to stay at my weight. When I coach my athletes a LOT of them improve on their weight loss goals because they have to make weight for a weight class. No longer are they in the “I have to lose 10 lbs” mode, it changes to “I have to lose 10 lbs to make my weight class”. From what I have seen with many of the people I coach “weight loss” becomes less of a focus once you start competing. All of a sudden the weight and weight loss is a by product of something bigger than just “I want to lose 10 lbs”. We know people that are always in weight loss mode, they never feel lean enough or happy enough, they always struggle. I have seen a lot of people become more compliant and more focused once they start competing in PowerLifting. You are dropping weight to compete, not just dropping weight to lose weight. If you keep losing something sooner or later it finds it’s way back. Unless you have stood on the platform it’s hard to understand the adrenaline rush that comes with PowerLifting. There is nothing like the rush of your third attempts and just giving it 100% without holding back. When you step on that platform your lifts become real. For that moment everything just stops and it’s you and the weight. It’s almost zen like in a way. You train weeks, months, sometimes even years for those 9 attempts, and to give it your best is go all out on the platform is an amazing feeling. I say this all the time, there is a BIG difference between gym lifts and competition lifts. Those two can’t even be compared. It doesn’t matter if it’s your first competition or your twentieth competition, getting on that platform and giving your best is a rush. Most people never truly challenge themselves. Their worst enemy is themselves. I see and hear it all the time. “I could never do that”. “I am not strong enough to compete”. It drives me crazy when I hear things like this. Yes we are ALL our own worst enemies, we all talk negative and all have our inner demons to battle. In the end though you just don’t know what you are capable of doing until you take that first step and TRY. I have seen people from HeavyWeights that never lifted before and after practice, hard work and dedication some became provincial winners, national champions and even World Champions and World’s Medalists. You don’t know where the road of competing and strength may take you IF you don’t take that first step and compete for the first time. 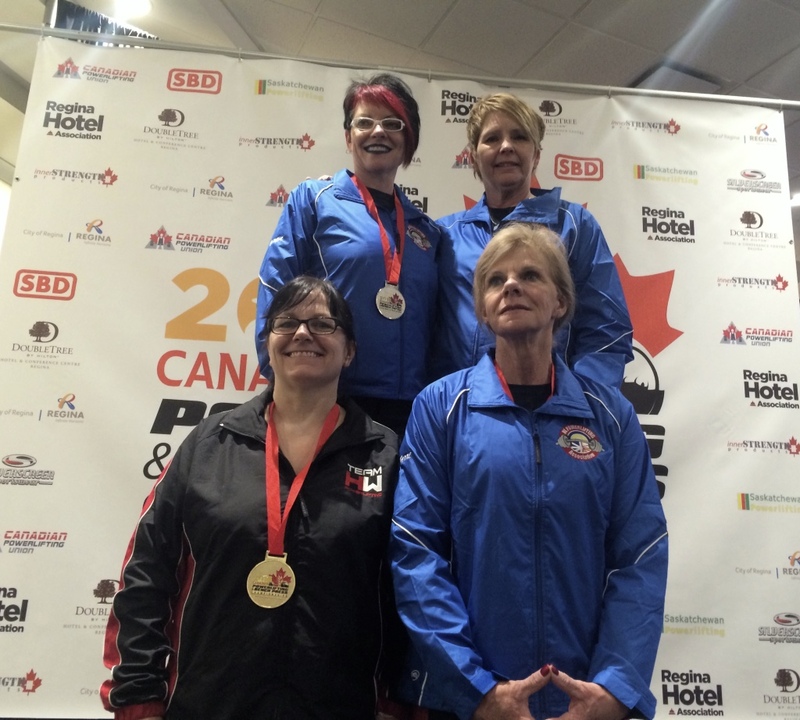 As well it’s not just about medals and placings, for some it’s lifting and getting stronger, to overcome injuries, to stay strong, to stay moving as you age, to keep challenging yourself and more. You never know where you may go or what you may be capable of doing if you don’t take that first step. 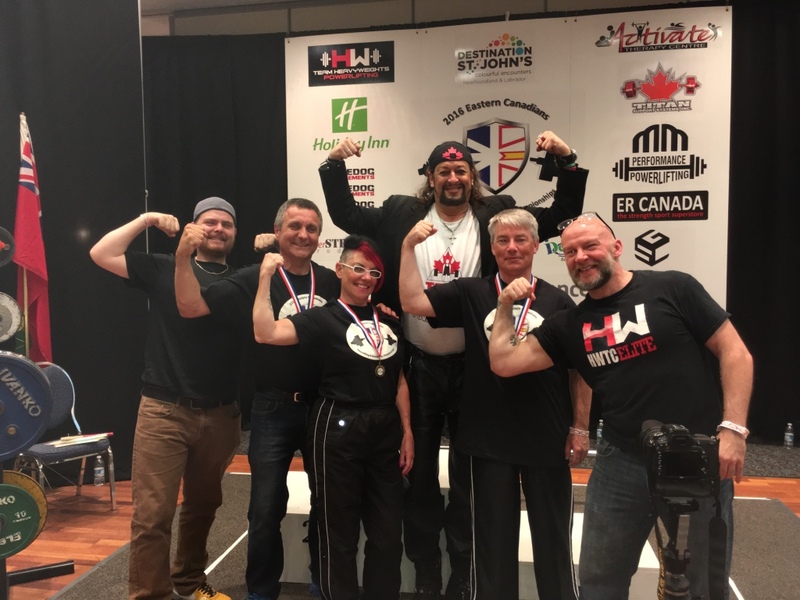 The journey of a thousand miles starts with one step, and I have seen MANY incredible journeys of health and strength start with one PowerLifting competition. You will become part of a team when you start lifting. Although you lift alone, when you train your team, your friends, your lifting family will make you better. “Iron Sharpens Iron” is a motto we use at HeavyWeights. Your team will make you better, your team will bring out your BEST. I have seen countless relationships that were forged with lifting. I have seen friendships grow, I have seen teams become bonded in ways that it is hard to explain. When you start lifting, when you trust others to spot you, to help you, to push you, something magical happens. You will develop friendships and relationships with people and your team through lifting that will change your life. 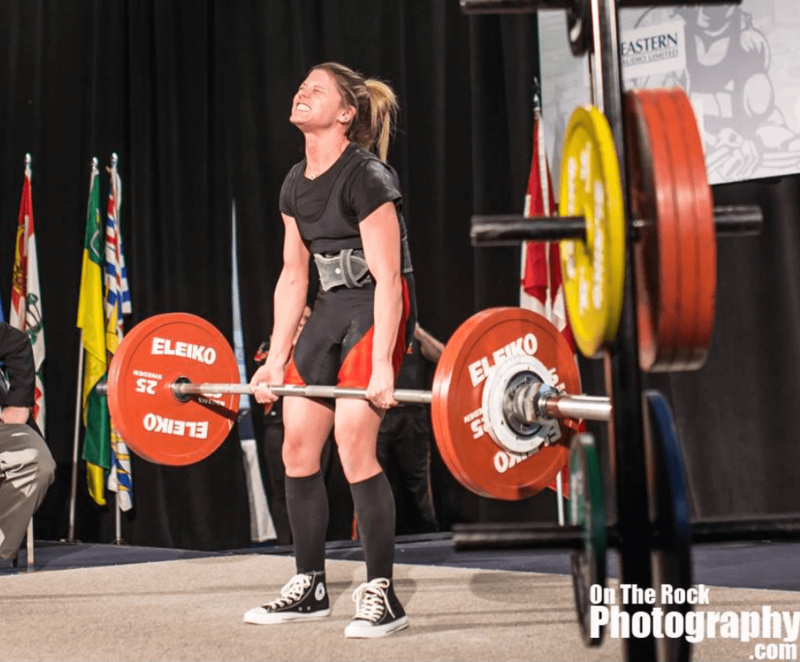 Thinking about competing in PowerLifting? Want to “Raise The Bar” on your current strength and improve. Join our Strength Club we are here to help you. Rob King is a Competitive PowerLifter, Coach and Writer.